The now-famous letter, penned by Dean of Students John “Jay” Ellison, to the University of Chicago’s Class of 2020 informed them in no uncertain terms that one of the University’s “defining characteristics” is its “commitment to freedom of inquiry and expression.” This is a bold step in favor of academic freedom and absolutely a win for common sense. Universities were founded to be places of fearless inquiry, where no ideas are off-limits, where we are permitted to push the boundaries of “acceptable” thought, and where each of us can engage one another fiercely — yet respectfully — in search of Truth. Without an ironclad commitment to liberty, of which free speech is an indispensable component, we are, without fail, merely slaves to tradition, prejudice, the powerful, and the State. Absent the ability to question all ideas and practices — even those others hold dearly, even reverentially — we inevitably find ourselves trapped in a stultifying quagmire of political correctness, censorship, and repression. This is the key insight for our generation: Good and correct positions and ideas do not require us to crush those we find wrong or even abhorrent with the blunt instruments of the law or infantilizing institutional policies in order to convince others of their truth and beneficence. Truth is its own weapon. This is why we the undersigned call upon the University of Michigan, our beloved university, to emulate the courageous stance in favor of free speech taken by the University of Chicago and to live up to its true calling: to be a place where harmful prejudices, outdated ideas, and destructive ideologies come to die — not because we bury them while they remain alive, able to infect future generations still, but because they have been so thoroughly discredited that no one in their right mind would pay fealty to them. We likewise call upon our fellow students to embrace the tenets of academic freedom. It is impossible to know whether certain ideas are truly false, and so we must be permitted to perpetually test their validity. Doing so sharpens our own ideas and allows right-thinking to be propagated far and wide and errors thus defeated, not driven into the dark underbelly of a counter-culture, where they can fester, morph, and one day rise again. In the end, what is right and good will win out. The human spirit is irrepressible, and the freedom to ask, learn, and grow will surely break any chains of authoritarianism or illiberalism — however well-intentioned their forgers were. We, along with Dean Ellison and the University of Chicago, recognize that speaking the truth in times of universal deceit is a revolutionary act; without it, we are forever doomed to darkness. And so we speak now, aligning ourselves with liberty and truth, and bid others join us. Great column, count me with you (UM Law ’81)! 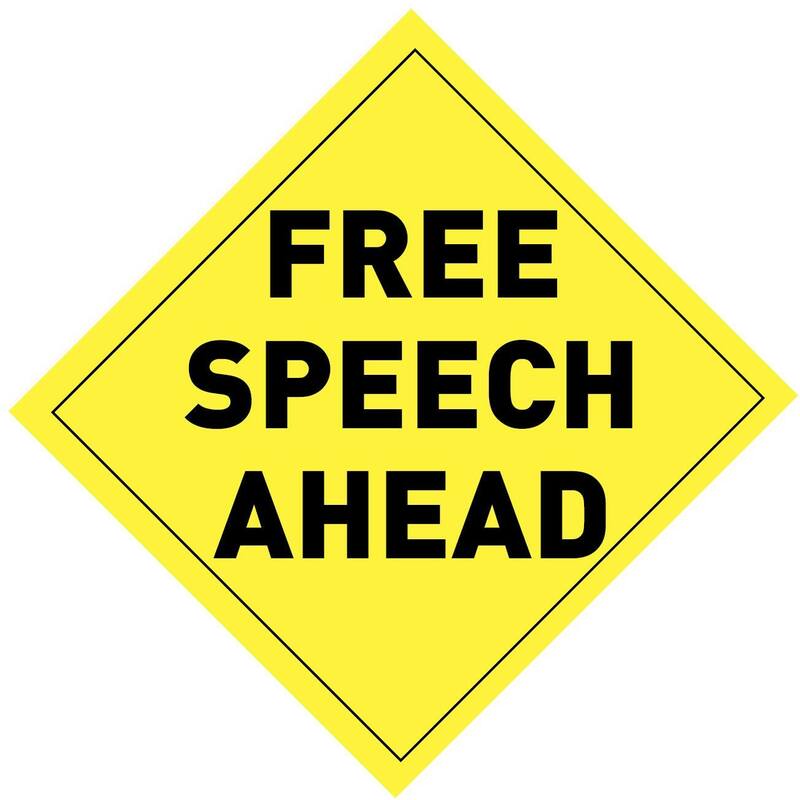 Michigan’s record on free speech is pretty weak compared to Chicago, which is the gold standard. Stick with it!